As you know, I love how you can make a simple garment unique by adding a little something to it – like an embroidery. Last week we shot beautiful Nikita in some unique pieces from STAND’s spring 2017 collection – all embroidered with the lastest innovation within the embroidery industry. Embroline by Coloreel is an attachment for embroidery machines that both enables unique designs and improves the overall production efficiency by instantly colouring the thread during the actual embroidery production (which means no interruptions for switching threads). Think of it a little bit as a colour printer for industrial embroidery. Cool huh? Look at all the looks here! I find it such a relief that an ever-increasing number of people consider the environmental footprint not only of fashion and beauty but also of furniture and kitchen supplies before they make purchases. It’s important for a number of reasons: it concerns our health (did you know poor indoor air quality is often related to toxins in furniture?) as well as natural resources and our biosphere (which is the reason we have to consider if the things we buy are durable, recyclable, renewable). 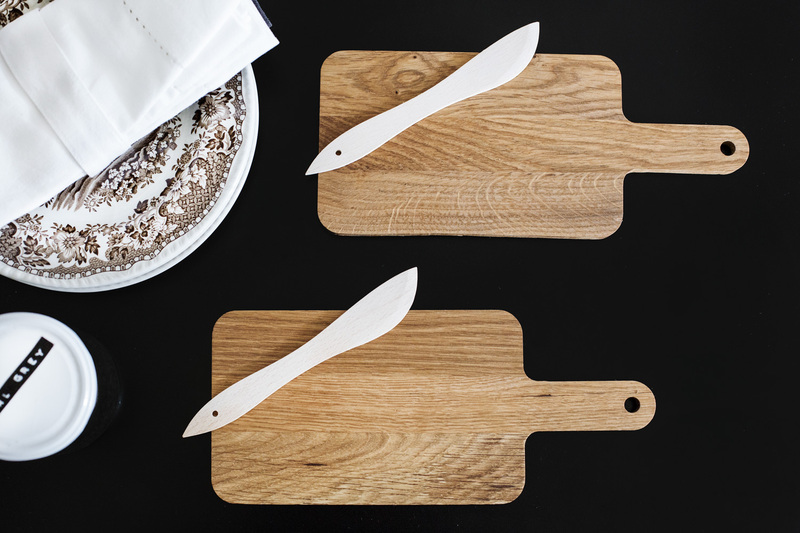 Our choices of materials are so important for the state of our planet for example choosing (FSC labelled) wood instead of plastics for things such as cutting boards. – Wood products are in most cases the more durable choice of material, which helps to preserve the earth’s resources. – Wood products, at least responsibly treated such, are renewable. Plastics are made from petroleum which is not a sustainable source. Recycled plastic is of course better though! – Studies show that heat can make certain plastics release chemicals that can be absorbed by the food your cooking. Read more about the different types here. 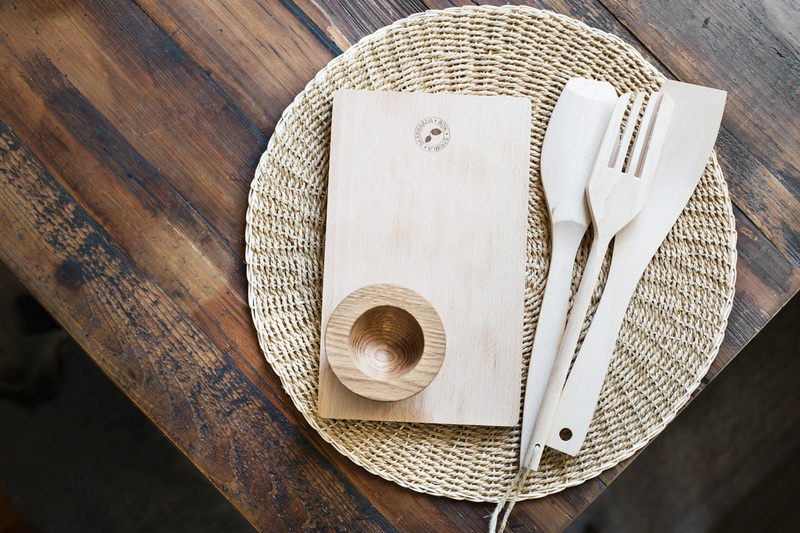 – Wood is a so much more beautiful than plastic! Try to buy untreated wood and use natural oils to protect it’s surface. I have selected some of my favorites from Åhléns Bra Val selection. These are all products that have been produced in a environmental friendly way and will make your kitchen a lot prettier than plastic tools. Napkins, butter knife and cutting board from Åhléns Bra val. 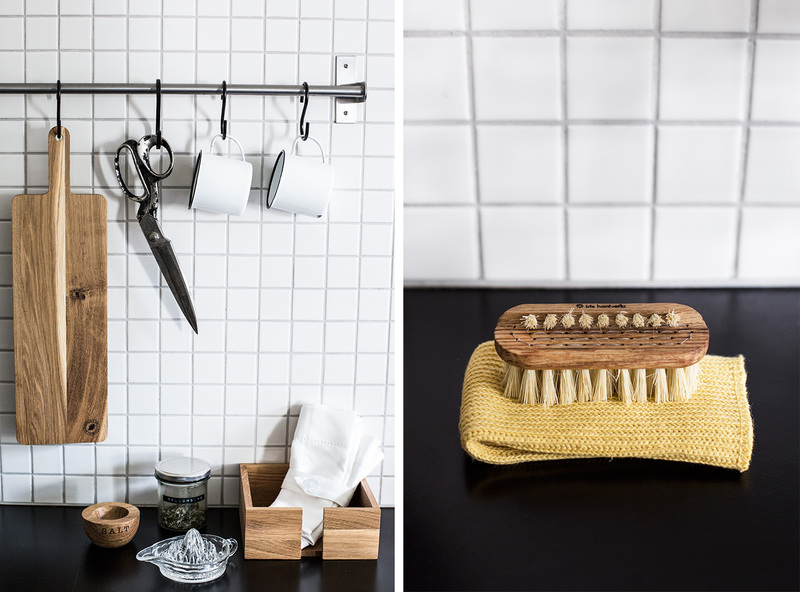 Cutting board, salt cellar, napkin, napkin holder nailbrush and cloth from Åhléns Bra val. 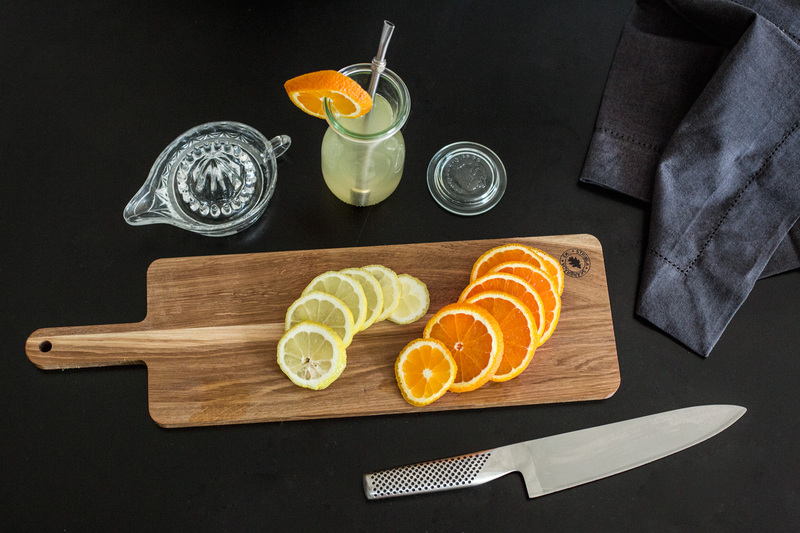 Coaster, cutting board, salt cellar and ladles. Cutting board and napkin from Åhléns Bra val. 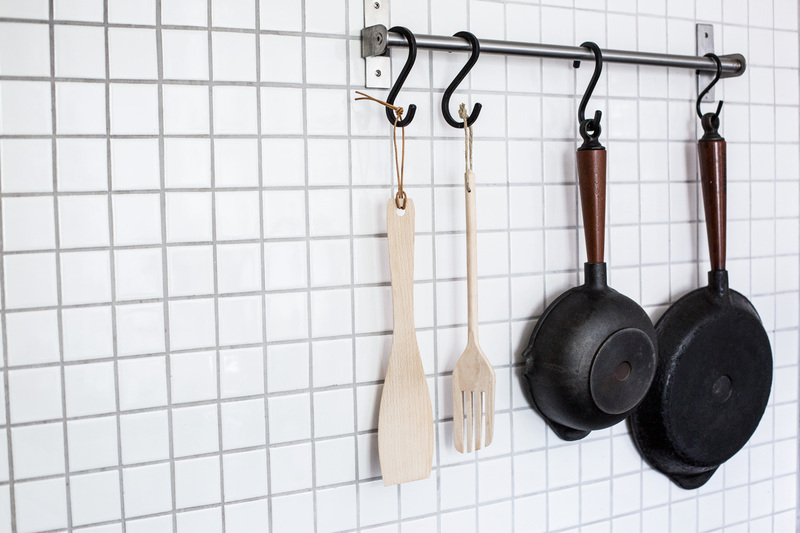 Wooden spatulas from Åhléns Bra val. I keep dreaming of next summer, even though this hasn’t ended yet. We are thinking about spending Andrés paternity leave in France and Spain. This would mean a life of surfing everyday. Fingers crossed that we can make that happen!